Supreme Court’s five-Judge Constitution bench on Wednesday, April 19, began hearing the questions referred to it by a two-Judge bench in the Assam Sanmilita Mahasangha v Union of India in 2014. 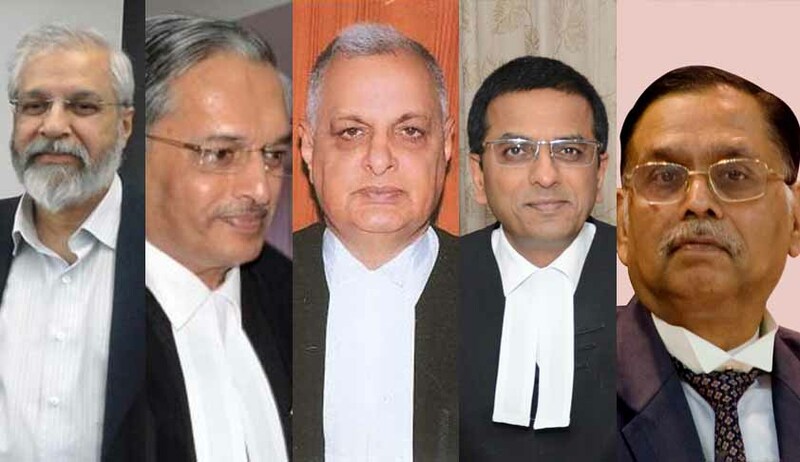 The bench comprises Justices Madan B.Lokur, R.K.Agrawal, Prafulla Chandra Pant, D.Y.Chandrachud, and Ashok Bhushan. On Wednesday, the bench spent just an hour to familiarise itself with the issues referred to it by the two-Judge bench in 2014. After hearing senior counsel, Shyam Divan, Sanjay R. Hegde, and Additional Solicitor General, P.S.Patwalia, the bench decided to finalise the schedule for the hearing on May 8, after reading written submissions of the counsel. The bench will decide whether it can hear and complete it between May 11 and 19, as planned. In the alternative, the bench may decide to list it after the summer vacation. During the hearing on Wednesday, Shyam Divan summed up the questions referred to the bench, and the issues involved. Hegde suggested that he could add a few more questions, or the questions referred could be reframed or pruned to just one question, that is, the validity of Section 6A of the Citizenship Act. Hegde also hinted that the case raises larger questions like nativism, who are Indians and who are Assamese. He asked whether a particular community living in a particular State could be suspected of their citizenship status, thus violating the Indian Constitution’s guarantee of equality and non-discrimination to all persons. (i) Whether Articles 10 and 11 of the Constitution of India permit the enactment of Section 6A of the Citizenship Act in as much as Section 6A, in prescribing a cut-off date different from the cut-off date prescribed in Article 35 Page 36 6, can do so without a “variation” of Article 6 itself; regard, in particular, being had to the phraseology of Article 4 (2) read with Article 368 (1)? (vi) Whether Section 6A violates Article 21 in that the lives and personal liberty of the citizens of Assam have been affected adversely by the massive influx of illegal migrants from Bangladesh. (vii) Whether delay is a factor that can be taken into account in moulding relief under a petition filed under Article 32 of the Constitution? Meanwhile, the two-Judge bench of Justices Ranjan Gogoi and Rohinton Fali Nariman, will hear on Thursday, April 20, at 2 p.m. the aspect of border fencing between Assam and Bangladesh, in the same case.